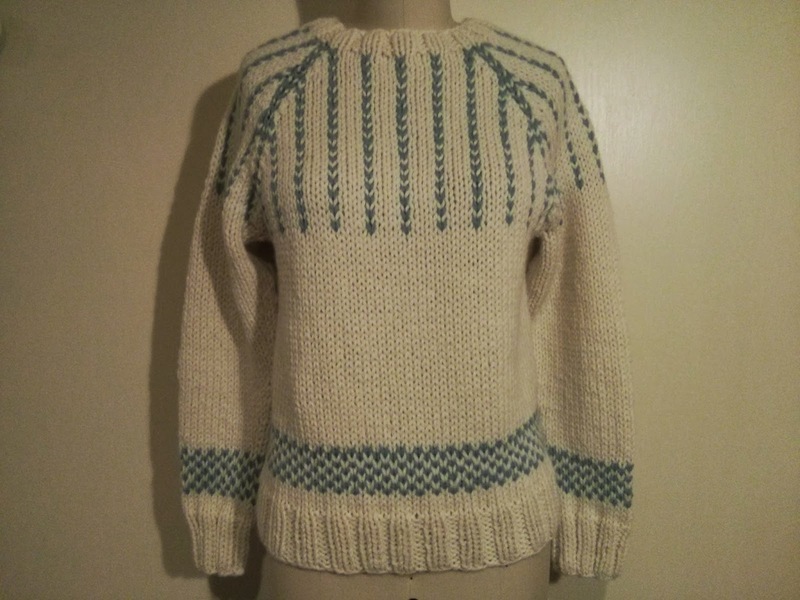 Yay, friendly fair isle sweater is finished! 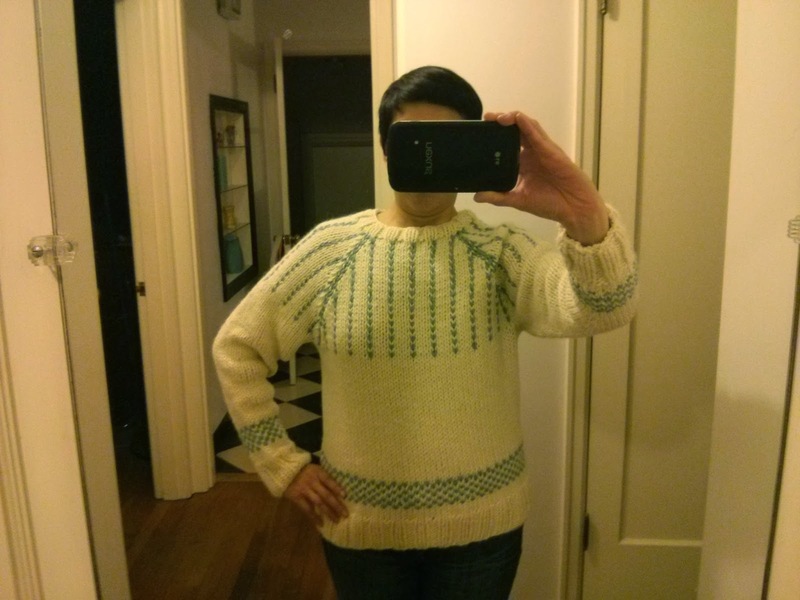 This sweater was such a fun knit! 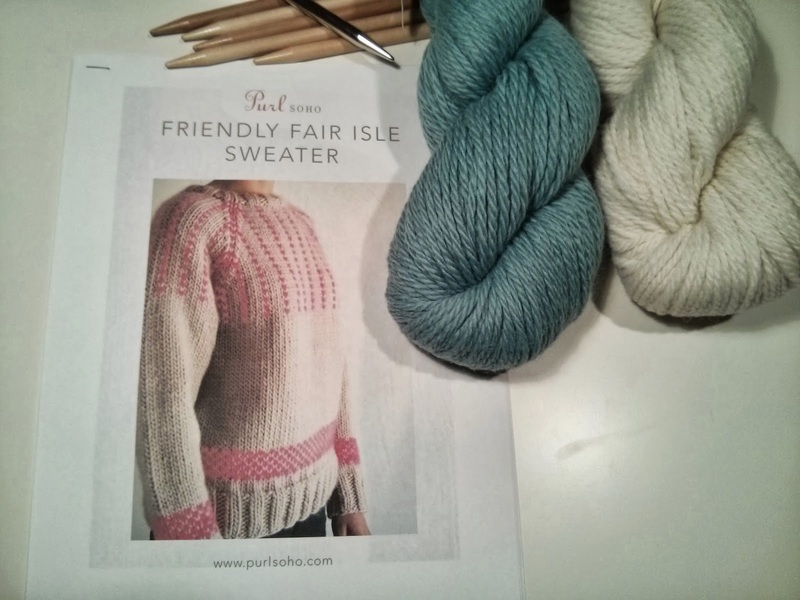 I started it last weekend and it went very quickly with the bulky Classic Elite yarn. The pattern was well-written and easy to follow. 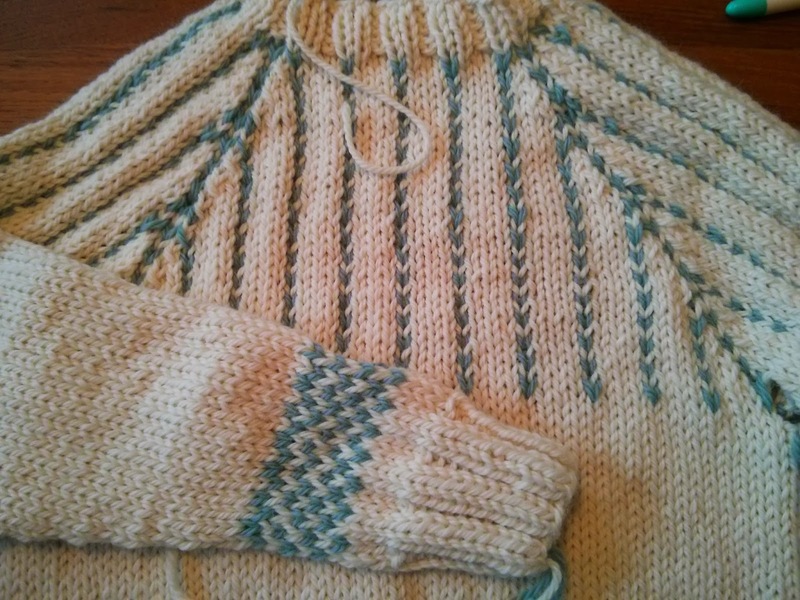 The sleeves are knit first and attached later after the body is knit in the round. 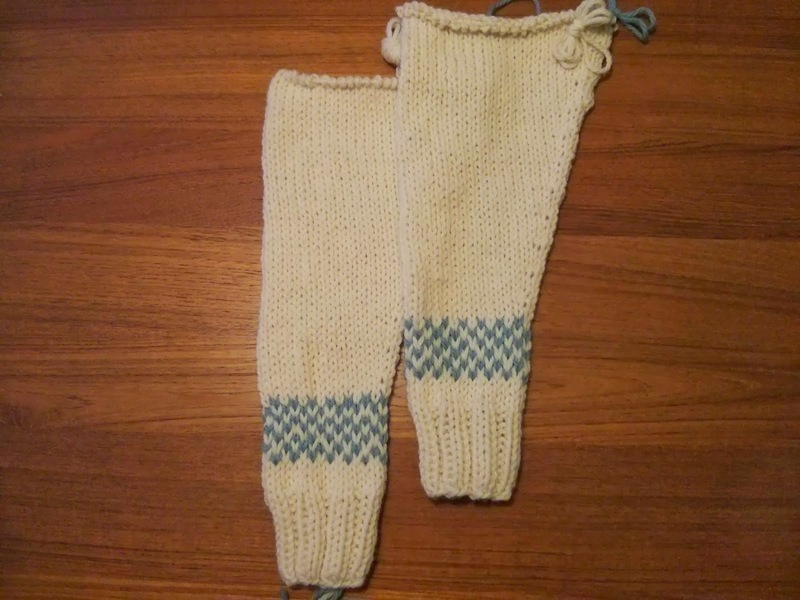 The simple fair isle pattern is perfect for beginners and adds just the right amount of interest to the knitting. 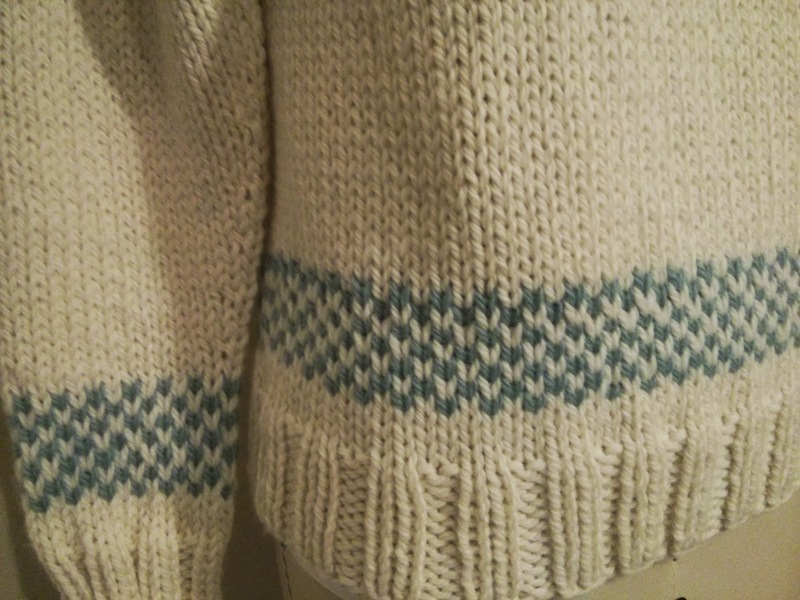 The fair isle on the yoke was a little more difficult to manage since it's happening across every third stitch. 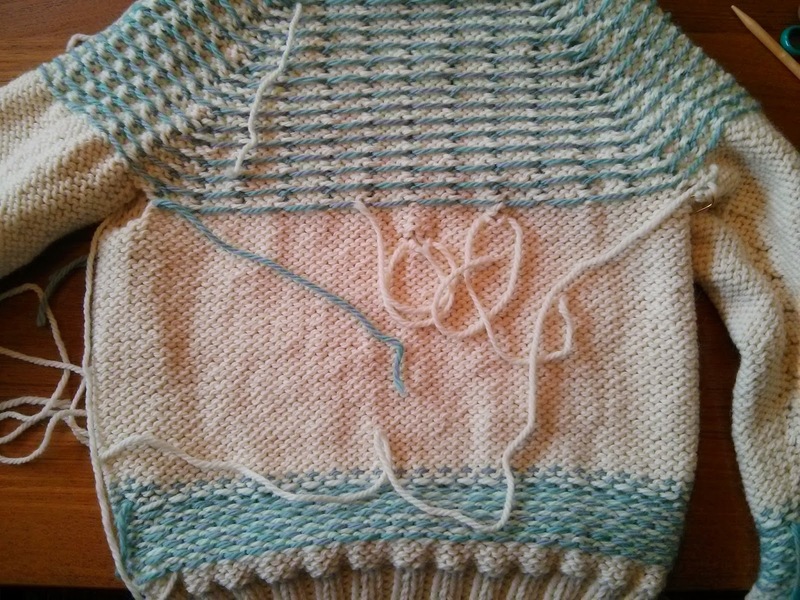 I may have carried too much slack in my contrasting color stitches, but I was able to tighten them up a little bit. 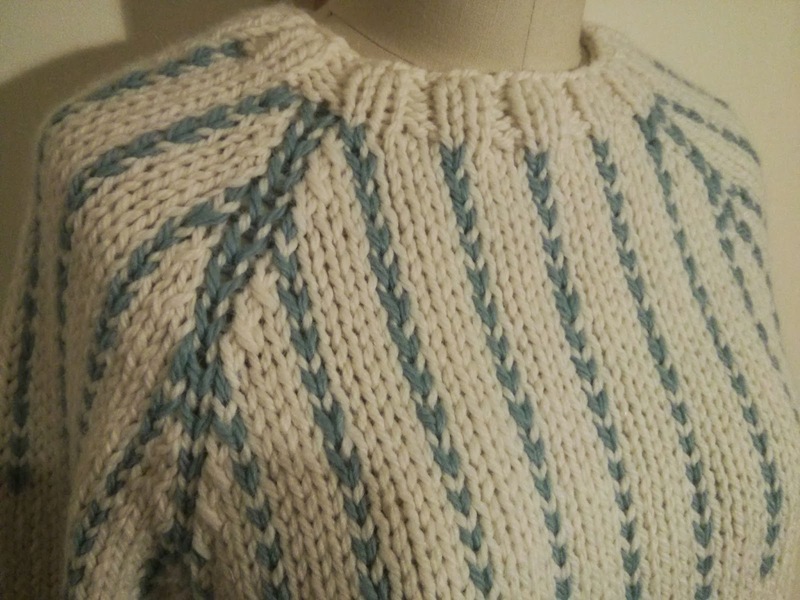 After grafting the underarm seams, I lightly steam blocked the sweater to set the stitches. 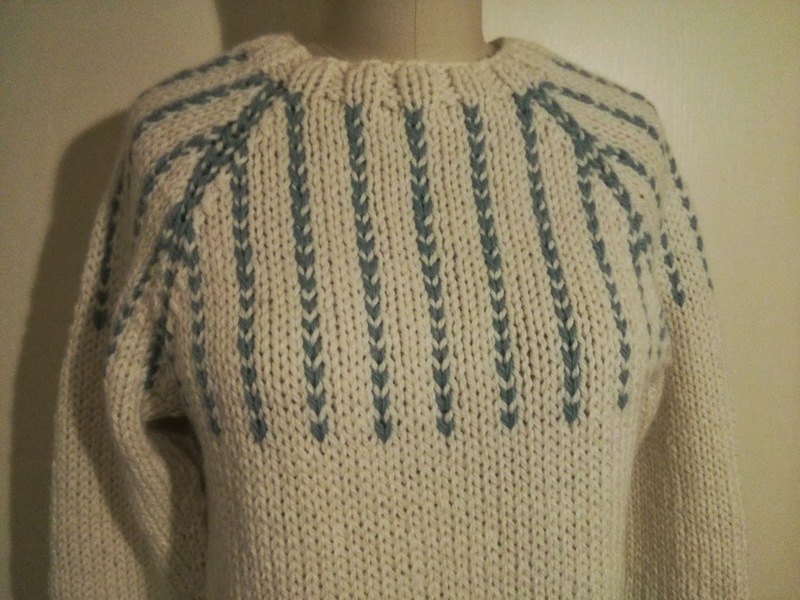 We still have some cool weather here in Portland, so this sweater will get some wear before the higher temperatures arrive. I highly recommend this project! It looks great! I love that sweater! It looks great! I love that yoke and it seems to fit you very well. Good job!